Thanks ^^ would you like to see it fully colored? I found a comment below Transformers: Prime Darkness Rising part 1 on youtube, that said "How could they have made Starscream look like a dorito again?!" My reply was that he doesn't look like a dorito. I recently drew and colored a pic of TF: PRIME Starscream, and added some wording to it. I know there aren't any 'Con symbols on his wings in the show, but since his arms were covering his chest I put them there as an homage to G1 of sorts. 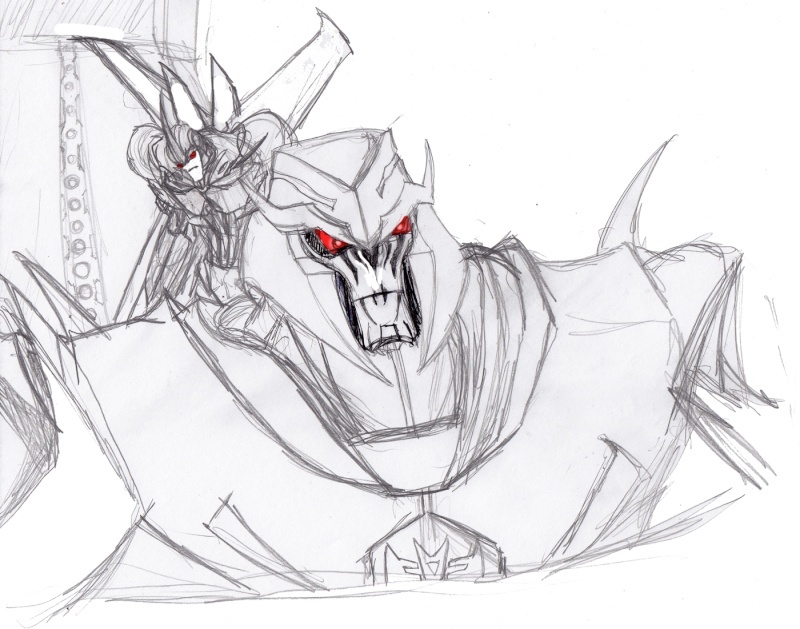 A picture of a very ticked off Megatron, to which I had to use myself as Photo reference to get the pose right. Merged topics into one thread and renamed. In other news, that's some might fine work you have. 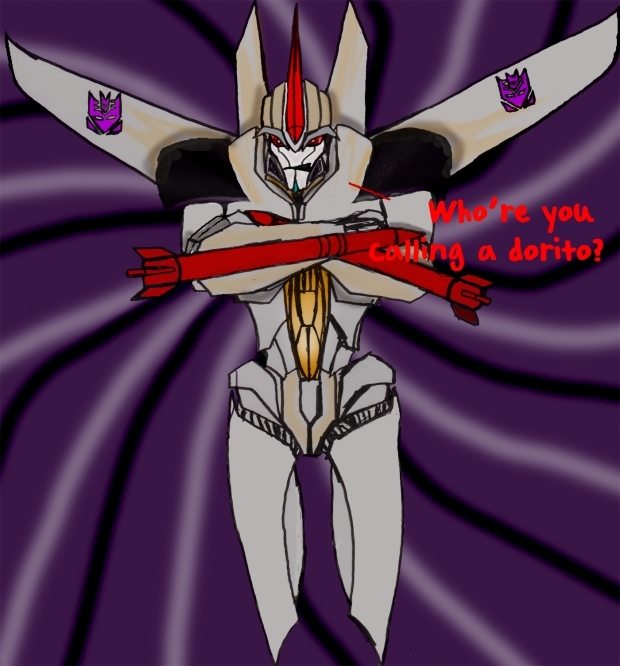 I rather liked the Starscream picture. 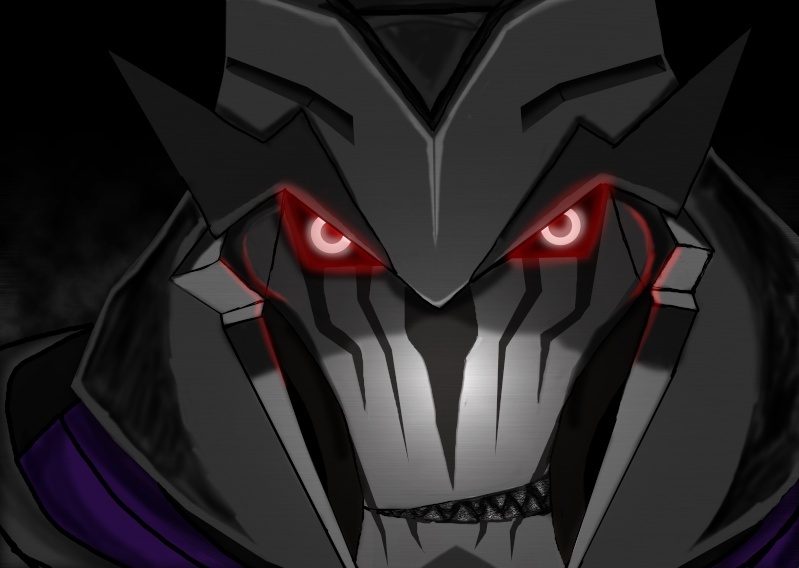 I'm loving the Megatron pic. I'm not so keen on the new Starscream design but you did him well. heeroyuey is my pet. He fetches my slippers. And here he is! 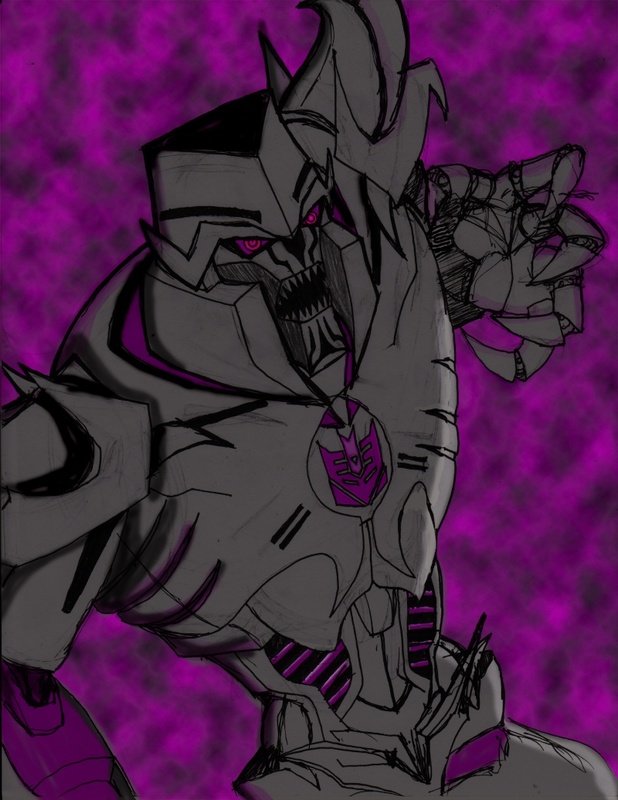 The third TFP Megatron I've done. This one was a GIANT experiment and it was a lot of fun too :3 Another cool thing is that i did it COMPLETELY in photoshop this time! Nice. I really like the optic glow you got on him and the gradient on his face. What? You think I don't know the terms too? 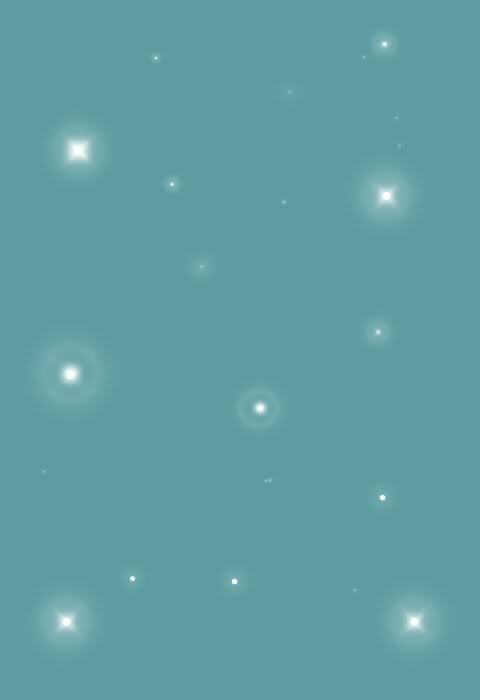 Thanks ^^ I learned how to do the glow effect from the creative director of Robotech, Tommy Yune. Wow I really like! Keep up the good work Rick. Thanks Angelo I've got more to come! Here's a pic of DOTM Megatron. 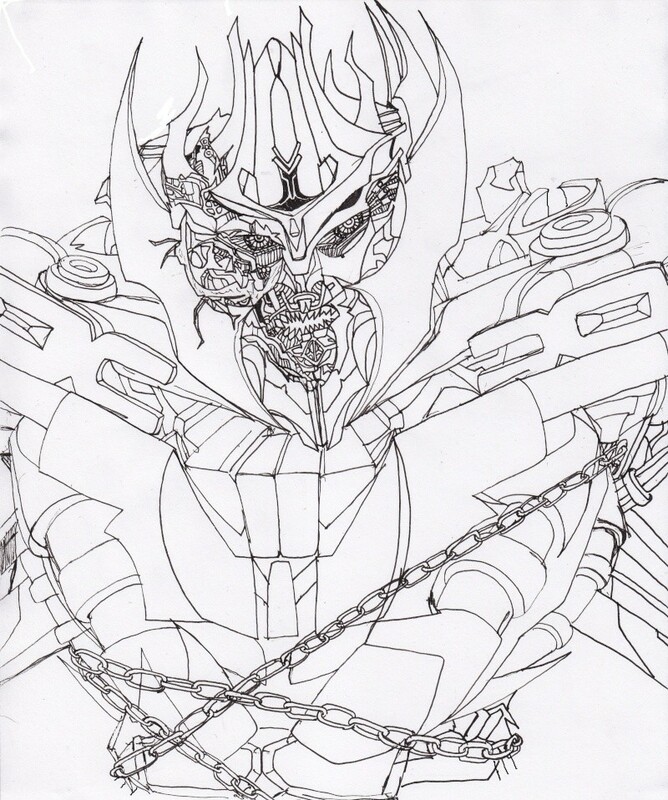 I'll definitely be coloring this one after I've finished cleaning it up and coloring DOTM Prime. Here's a sneak peek color of an upcoming project (which is currently in the works of having the script written).